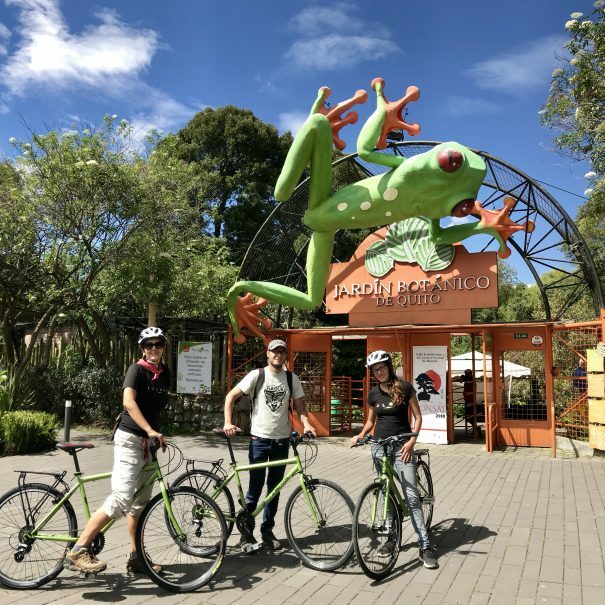 Quito Bike Tours started in 2018 when four friends got together to talk about our passion for bikes, travel and Quito! 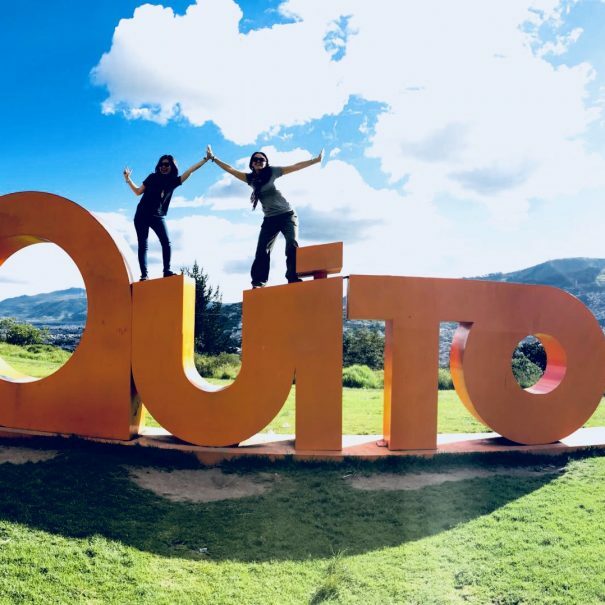 A mix of locals and a gringa (Australian actually), we speak Spanish, English and Italian between us, and we decided that Quito is not just the UNESCO Historical Centre but much, much more! 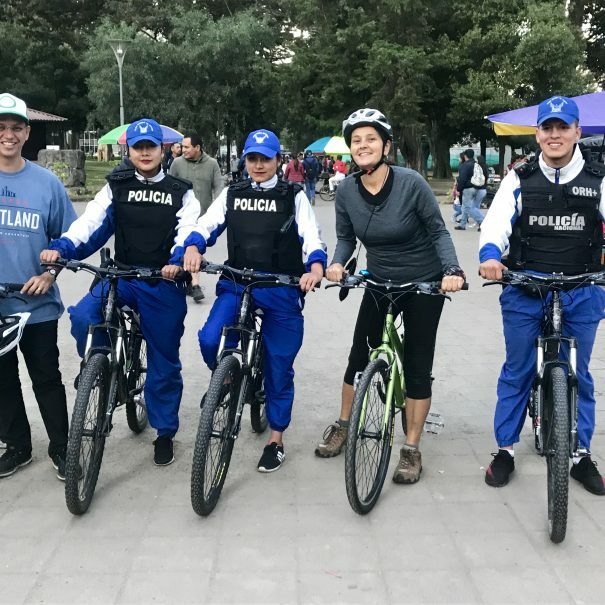 One of us said, "Why not show Quito's awesome places, culture and insights whilst cycling in and around the city?" 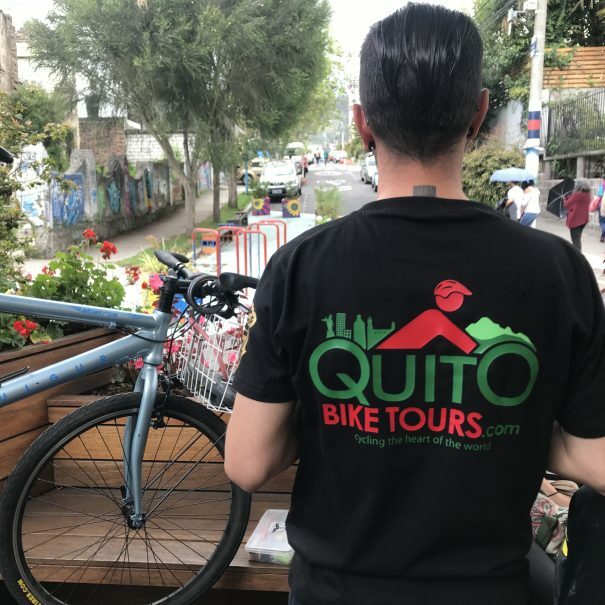 And thus ... Quito Bike Tours was born! 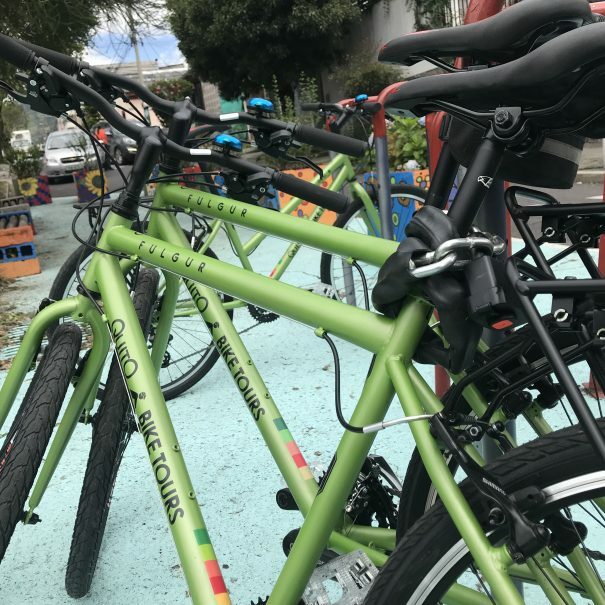 Quito Bike Tours is the first urban bicycle tour company in the city. 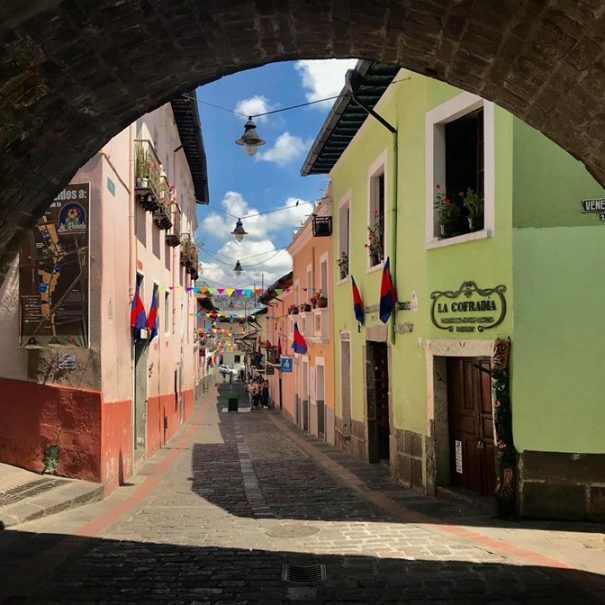 We will show and share with you Quito's neighbourhoods, markets, food, parks, culture, street art, history and much much, more! What are you waiting for? Ride with us! 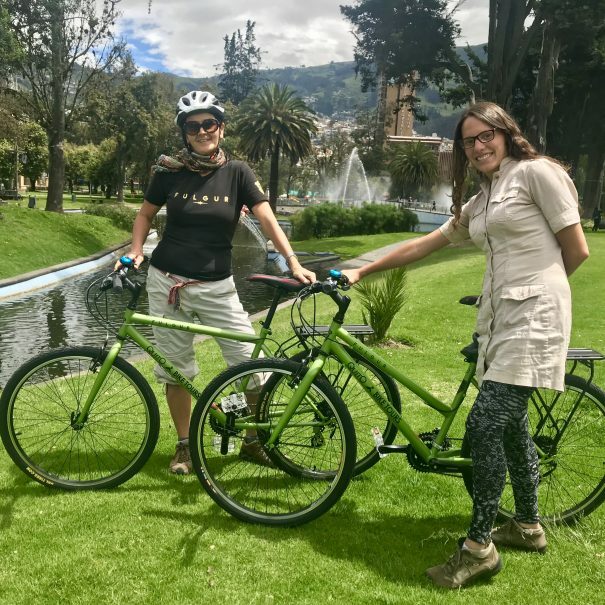 Quito Bike Tours is the first company in Quito to run urban bicycle tours. 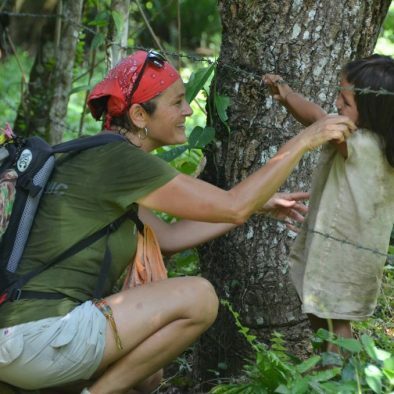 We pride ourselves on positive activism and sustainable tourism. 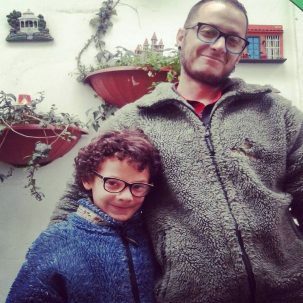 We are passionate about doing things ethically whilst still having fun. 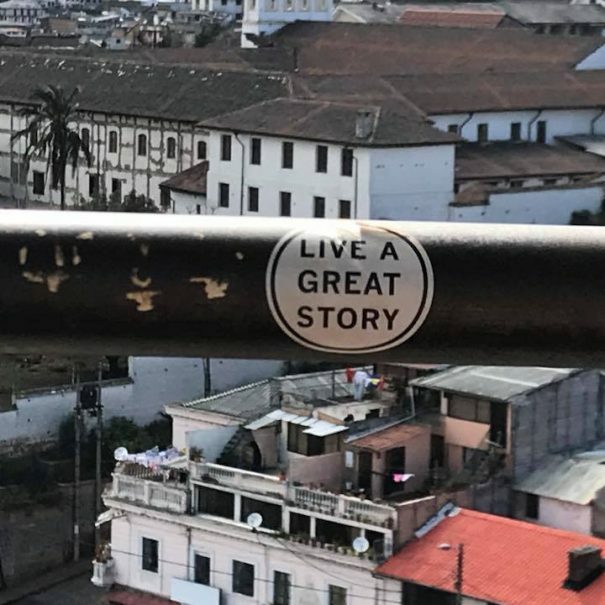 We want to share this beautiful UNESCO heritage city with you! 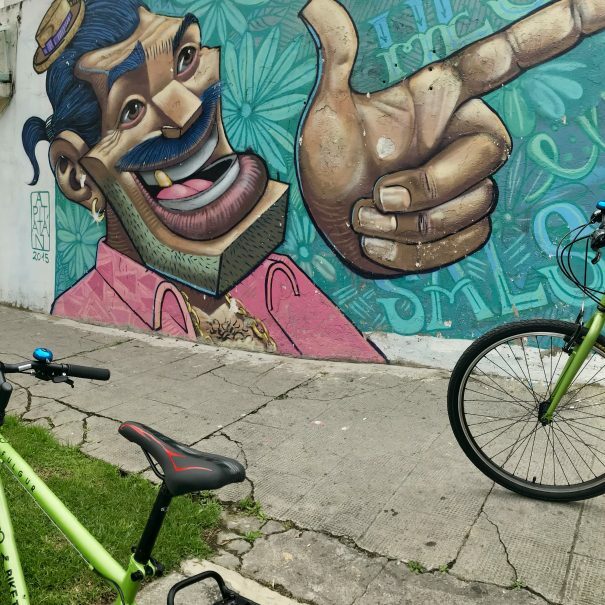 Do You Love Cycling? 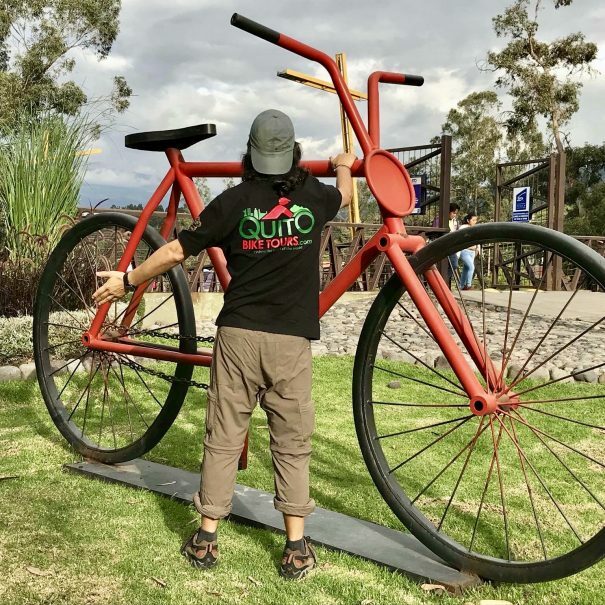 If the answer is yes, then ride with us to explore Quito on a bike whilst discovering its history, culture and food. You’ll definitely meet great people and make new friends! 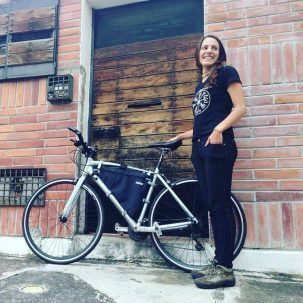 Operations, Bike Builder and Co-Founder of Fulgur Urban Bicycles. Communications, PR, Travel Blogger, Co-Founder of veryitchyfeet.com. 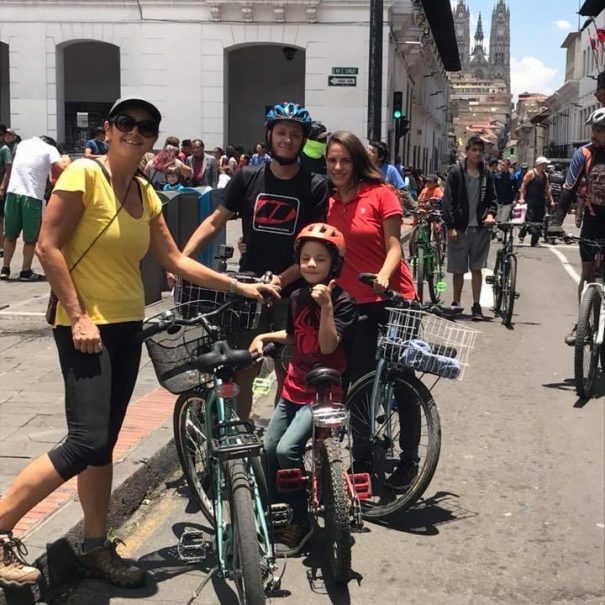 At Quito Bike Tours we value people and we respect their time! We don't expect anything for free! 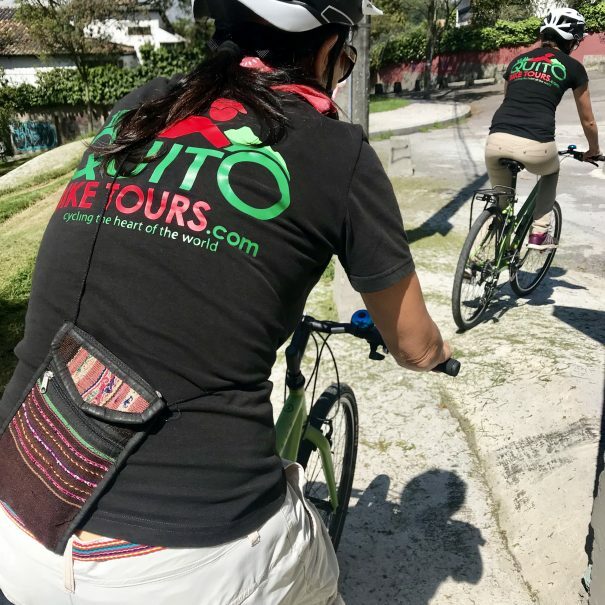 Working with Quito Bike Tours, you’ll get paid to learn new skills, develop your career, meet interesting people, have an experience that will be with you for the rest of your life and have the opportunity to showcase your amazing city to the world. 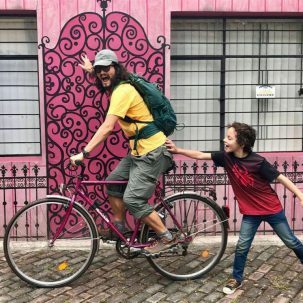 Join a team of bike enthusiasts, travellers and lovers of life. 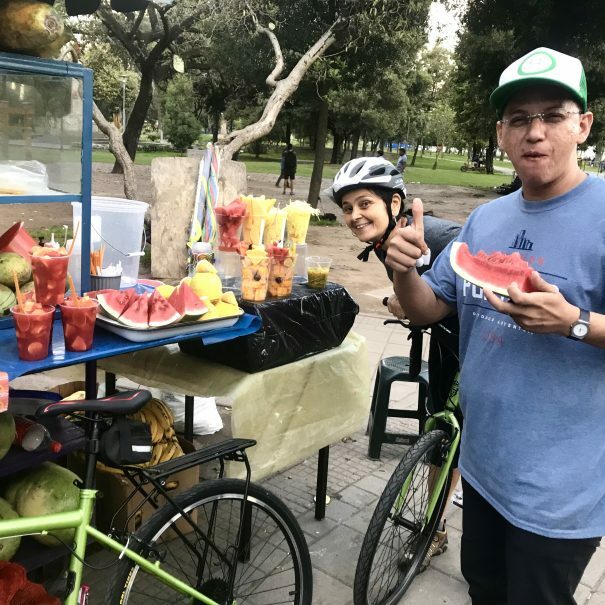 We are always on the lookout for fun and energetic Freelance Bicycle Tour Guides who enjoy working with a wide range of people from all walks of life. If you think your skills and personality suit our company, send us an e-mail. We will ONLY accept applicants who have an accredited National Guide’s License and a current First Aid Certificate. Do you want to learn new skills or volunteer by helping out in the tours? 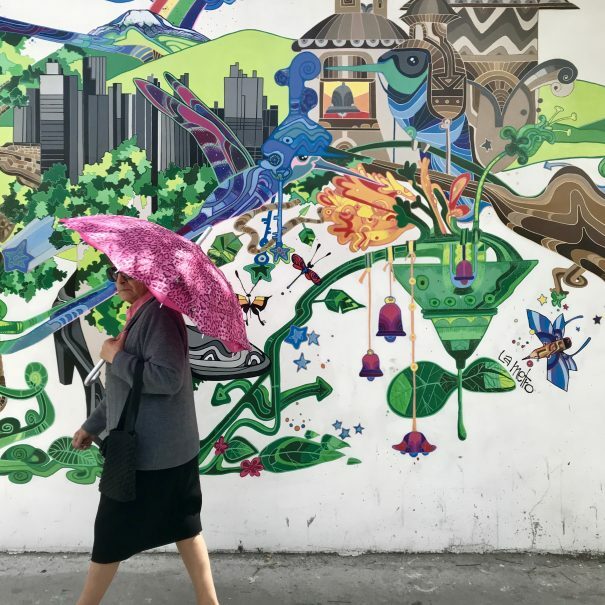 Do you know about Social Media and publishing? Are you a cyclist, traveller, backpacker or a tourism graduate that needs practice? Any other amazing tricks you can do? Let us know!